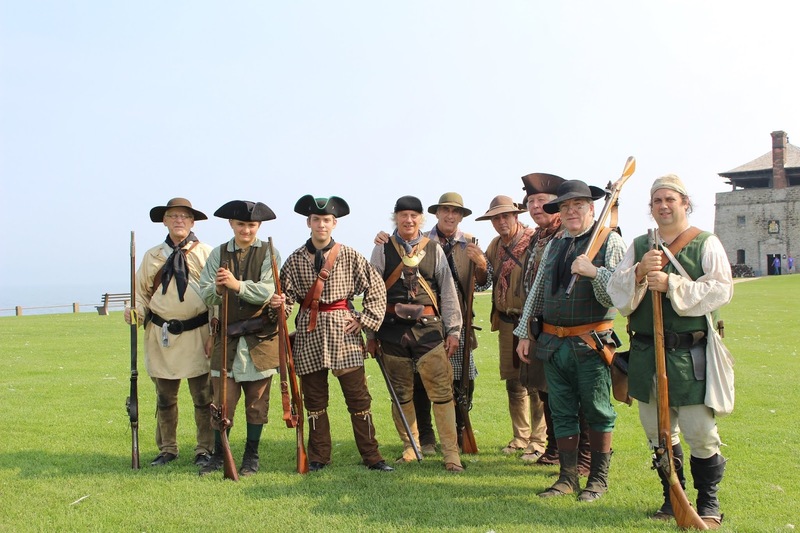 Old Fort Niagara’s busy season of reenactments continues with Soldiers of the Revolution, August 18 and 19, when the fort’s staff and volunteers will work with visiting reenacting units to share history from the American Revolution on the Niagara Frontier. 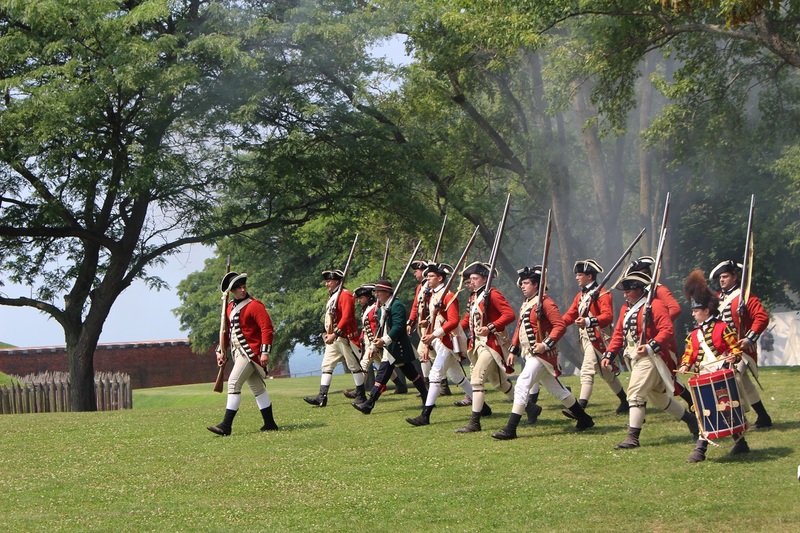 During this event, visitors will gain an understanding of early America through the perspectives of the colonial rebels versus those who remained loyal to the British crown, called loyalists. 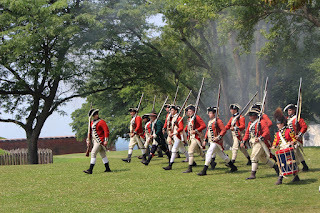 Visitors will have opportunities to meet soldier and civilian reenactors from the American and British camps, watch artillery and battle demonstrations, join a tour and learn about the conflict, listen to fifes and drums play period music, peek in on British justice practices and Native ransoms, pick sides for a mock wooden-musket battle, and play period games. Activities begin at 10 a.m. and continue throughout the day. Please note that visitors should arrive an hour before battles to allow time to get through admissions and to the viewing areas. Noon Artillery Firing Demonstration: Watch the cannons fire! fort where he’ll be ransomed by the British Indian Dept. The Officers’ Club, just outside the fort's footprint, will be open during Soldiers of the Revolution from 11 a.m to 4 p.m. for tours and access to the World War II display. The lighthouse will also be open from noon to 3 p.m.
Food, snacks, drinks and ice cream will be available for sale each day from 11 a.m. to 4 p.m. at the log cabin. The cost to attend the event is $13 for adults, $9 for children ages 6-12, free for children 5 and under, and free to members of the Old Fort Niagara Association. Prepare an 18th-century meal at the fort! Instruction, ingredients and meal provided. $50/person ($45/member) Call (716) 745-7611 to register. Old Fort Niagara (www.oldfortniagara.org) is open daily from 9 a.m. to 7 p.m. in July and August. Admissions end 30 minutes before closing. Old Fort Niagara is a Registered National Historic Landmark and New York State Historic Site operated by the Old Fort Niagara Association (a not-for-profit organization) in cooperation with the New York State Office of Parks, Recreation and Historic Preservation. Follow us on Facebook, Instagram, Twitter and YouTube.